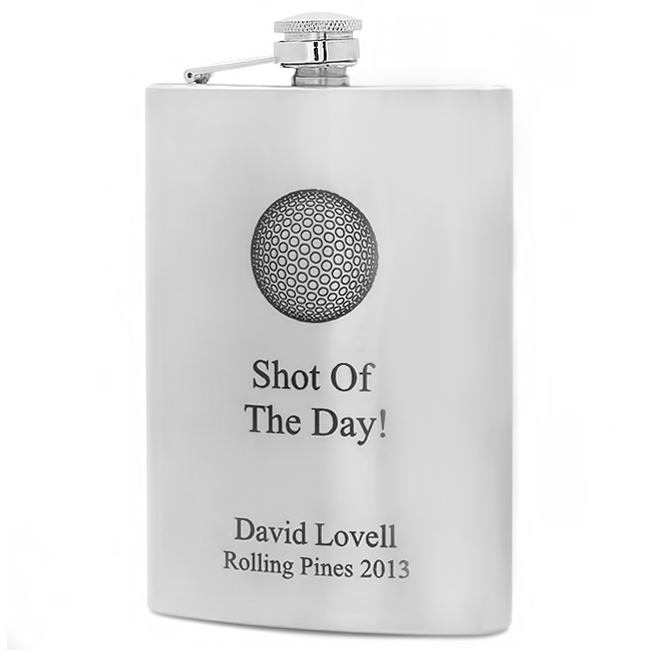 You'll always be a winner at the 19th hole when you pull out this flask to top off the game with your buddies! 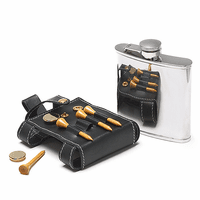 It's made of stainless steel, with a black matte finish, and has a captive screw-on lid that won't get lost in the rough! Laser-engraved on the front are a golf ball with a caption below reading: "Shot of the Day"! 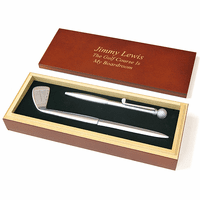 Add free custom personalized engraving to create a great gift for a golf buddy, too! 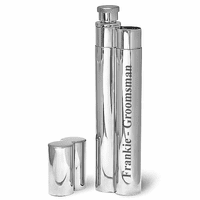 The flask comes packaged in a handsome gift box, ready to surprise a great guy! Laser-engraved golf ball with caption: "Shot of the Day"
The first one I received was damaged but customer service was very good at resolving the issue and sent me a new item. I can't speak for the quality because it was a gift, but the recipient loved it. I rated product this back in January and need to upgrade the review. The flask started to leak and i contacted EGS about the problem. In less than a week they remedied the situation. Their customer service is terrific, you simply don't get service like this anymore. Gave this as a gift and receiver loved it but not yet used it. Hope they still like it after using it!! !